Today we had a special visitor in our assembly . 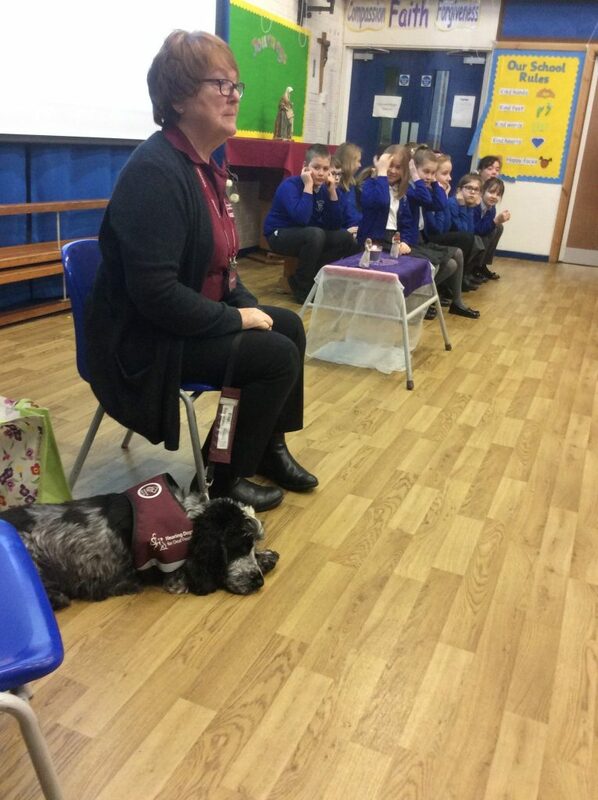 Monty , a specially trained hearing dog , came with his owner Elizabeth . Elizabeth explained to us how having Monty has helped her life so much since she lost her hearing and has given her back her independence. The sign language group also signed a song and a prayer to the school . 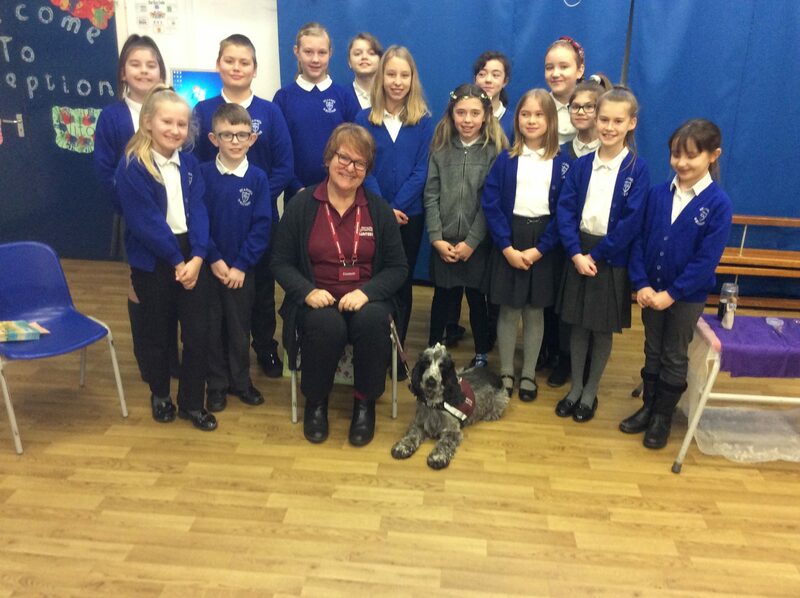 This week we will be selling raffle tickets to help raise money to sponsor a hearing dog as they are given their specialist training.